Basilian Fathers serving Gilwood district started also to visit the faithful in High Prairie. On June 9, 1941 Bishop Basil Ladyka visited the community and a spiritual renewal was visible in the community. The people under the leadership of Nick Chodzicki bought 4 parcels of land in 1940 to build a church later. First they built the priest’s residence which also served for some time as a place of worship. In 1949-1950 the Christ the King church was built next to the rectory. The services in the surrounding churches of Heart River and Gilwood were shrinking, and the High Prairie parish was growing. Under Fr. Philip Shinduke’s guidance the people realized that an improvement was required for the church. The church was lifted up and a full basement was built. In 1975 the church residence was sold and the priest was living in the rectory in Grande Prairie. In the early days Basilian Fathers were serving the faithful: Fr. 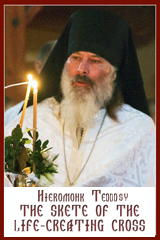 Theodozy Dobko, Fr. Ambrose Wynnyk, Fr. Ireneus Procenty, Fr. Matthew Sianchuk, Fr. Benedict Hrynyshyn. The Eparchial clergy were: Fr. 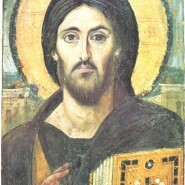 Euthymius Melnychuk (1950- ), Fr. Philip Shinduke (1972-1984), Fr. Richard Zuback (1984-1985), Fr. Benny Ambrose (1986-1992), Fr. William Hupalo (1993-1995), Fr. Ivan Nykyforuk (1996-2003), Fr. Gary Sedgwick (2003-2008), Fr. Taras Kraychuk (2008-2010) and Fr. Roman Planchak (2010-).